Yay another Bzzagent campaign! 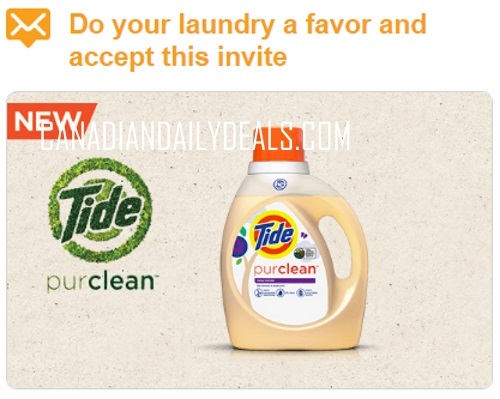 Try Tide PurClean for Free to review! Join this campaign to get Free sachets of Honey Lavender scented Tide purclean detergent. Log into your Bzzagent and check your emails to see if you were chosen for this one! I managed to opt in before it was all full (please note what happened for the Walmart PickUp campaign earlier this week!). To ensure you get chosen for the most campaigns possible, make sure you log in once in a while and look if there are any surveys available to you. Not everyone gets chosen for all the campaigns that they want, they choose you based on how you respond to those surveys, demographics etc. Click here to log into Bzzagent.